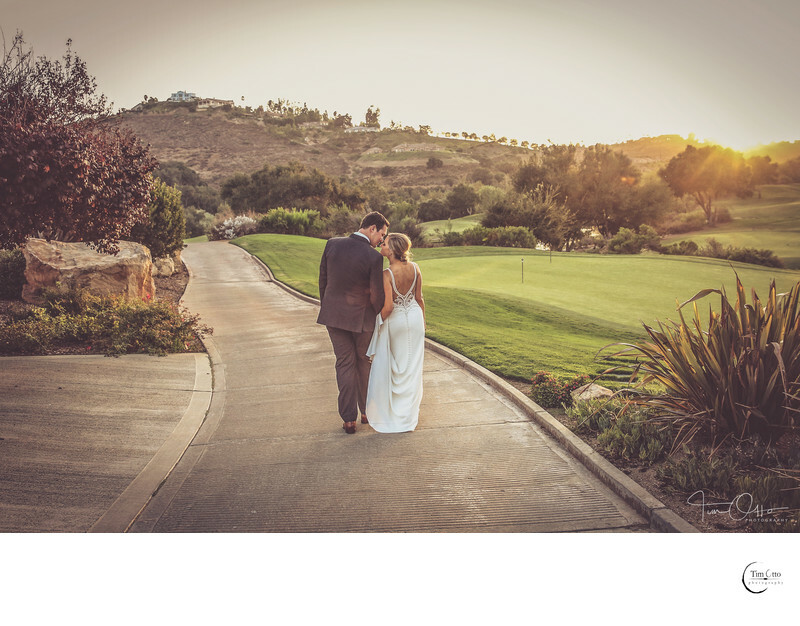 We capture this beautiful moment at Maderas golf club. 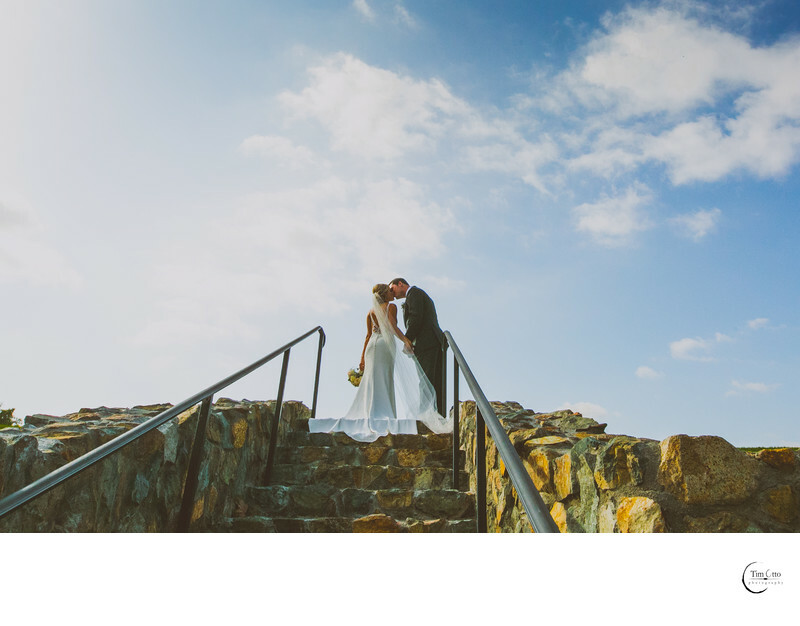 I really love the texture of the stairs and how we were able to separate the bride and groom against the beautiful sky.This couple decided to do a first look. We were able to spend a couple hours before the ceremony photographing around Maderas. The portrait session also included working with the bridal party. We found some amazing places to photograph. 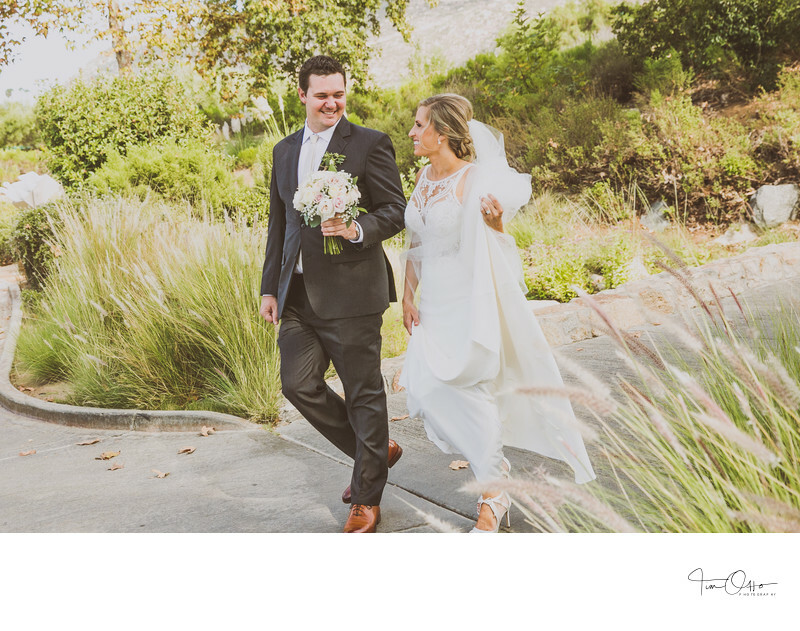 We used not only the background of the golf course but also the stone bridge and tall grass that was around the venue. 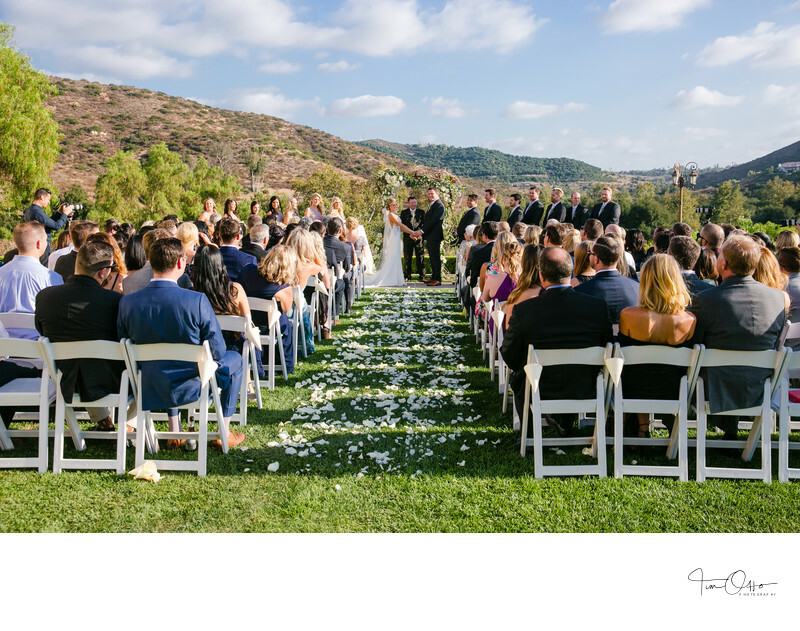 The Ceremony location overlooked the golf course and mountains and the location was perfect for creating amazing wedding photos.Maderas had two locations for the ceremony. The Del Lago Garden and Sunset Rock.Both locations offer stunning views.The reception was in the Del Lago Ballroom with hanging chandeliers and old world wooden doors. I really enjoyed the rustic feel of the venue and the sun setting over the mountains created some incredible light for the photos. 1/1600; f/16.0; ISO 1250; 20.0 mm.